Three New Therapies for Acute Myeloid Leukemia. The United States Food and Drug Administration (FDA) granted approval for three new agents for acute myeloid leukemia (AML) in November. Gilteritinib (Xospata®, Astellas), a FLT3-targeting tyrosine kinase inhibitor (TKI), was approved for use in adults with relapsed or refractory AML who have an FLT3 mutation, as detected by an FDA approved test (LeukoStrat CDx FLT3 Mutation Assay, Invivoscribe Technologies, Inc). This decision was based on initial results from the phase III ADMIRAL study, in which treatment with gilteritinib was associated with a 21% rate of complete response (CR) or CR with partial hematologic recovery (CRh) in 138 patients with FLT3-positive relapsed/refractory AML, with a median duration of CR/CRh of 4.6 months. The rate of conversion from red blood and/or platelet transfusion dependence to transfusion independence was 31.1% for any 56-day postbaseline period. Glasdegib (Daurismo™, Pfizer), the first hedgehog pathway inhibitor for AML, was approved for use in combination with low-dose cytarabine (LDAC) in newly- diagnosed patients with AML who are 75 years of age or older and have comorbidities preventing use of more intensive induction therapy. Approval followed data from the randomized phase II BRIGHT 1003 trial in 115 patients. The addition of glasdegib to LDAC resulted in a 54% reduction in the risk of death, with a median overall survival (OS) of 8.3 months, compared to 4.3 months for LDAC alone (HR 0.46, P = .0002). Expanded Indication for Brentuximab Vedotin. The antibody-drug conjugate (ADC) brentuximab vedotin (Adcetris®, Seattle Genetics) received approval for use in combination with chemotherapy in previously untreated patients with systemic anaplastic large cell lymphoma or other CD30-expressing peripheral T-cell lymphomas (PTCL). This decision was based on results from the phase III ECHELON-2 trial, in which brentuximab vedotin plus cyclophosphamide, doxorubicin, and prednisone (CHP) resulted in a 34% reduction in the risk of death and a 29% reduction in the risk of disease progression compared to CHOP chemotherapy in previously untreated patients with CD30-positive PTCL. New data related to this study have been presented at the American Society of Hematology (ASH) Annual Meeting. New Indication for Elotuzumab in Myeloma. The indication of elotuzumab (Empliciti®, Bristol-Meyers Squibb) in multiple myeloma was expanded to include use in combination with pomalidomide and dexamethasone in patients with multiple myeloma who have progressed on at least two prior therapies, including lenalidomide and a proteasome inhibitor. Approval follows results from the phase II ELOQUENT-3 trial, in which the addition of elotuzumab to pomalidomide and dexamethasone resulted in a doubling of the median progression-free survival (PFS: 10.3 months vs 4.7 months; HR 0.54) and overall response rate (ORR: 53% vs 26%) compared to pomalidomide and dexamethasone alone. First Biosimilar Rituximab Approved in US. 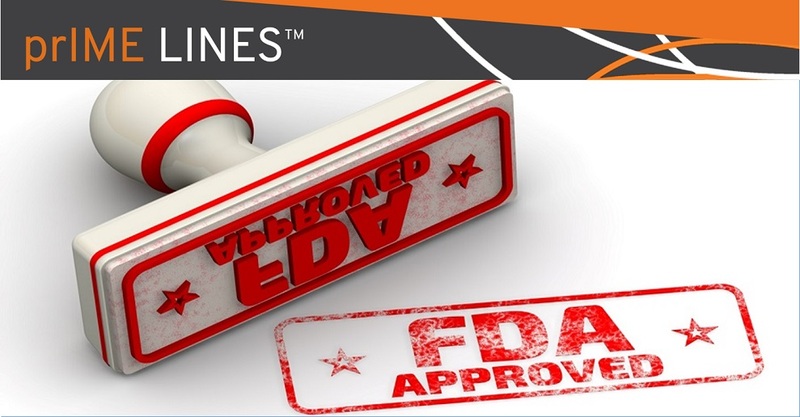 The FDA granted approval to Truxima™ (rituximab-abbs, Celltrion), the first biosimilar of Rituxan® (Genentech), for use in patients with CD20-positive, B-cell non-Hodgkin’s lymphoma (NHL) as both a single agent and in combination with chemotherapy. Of note, unlike previous biosimilars approved in the US, Truxima was not granted all indications of the originator drug, and is limited to use in NHL. NTRK Inhibitor Available for All Solid Tumors. The neurotrophic receptor tyrosine kinase (NTRK) inhibitor larotrectinib (Vitrakvi®, Loxo Oncology and Bayer) received accelerated approval for tumor agnostic use in adult and pediatric patients with solid tumors who have a NTRK fusion and no known resistance mutation. Use of larotrectinib is limited to patients with metastatic or unresectable disease who have no satisfactory alternative treatments. In a clinical trial evaluating larotrectinib in 55 patients with solid tumors, larotrectinib resulted in a 75% ORR, including a 22% CR rate. Response duration was 6 months or longer for 73% of patients and longer than 12 months for 39% of patients. Pembrolizumab Receives HCC Approval. The PD-1 inhibitor pembrolizumab (Keytruda®, Merck & Co) received accelerated approval for use in patients with hepatocellular carcinoma (HCC) who have been previously treated with sorafenib. This decision was based on an ORR of 17% in patients with advanced HCC progressing on sorafenib in the phase II KEYNOTE-224 trial. Pembrolizumab is the second PD-1 inhibitor approved for this indication, following the approval of nivolumab in 2017. Lorlatinib Gets OK From FDA. The anaplastic lymphoma kinase (ALK) and ROS proto-oncogene 1 (ROS1) inhibitor lorlatinib (Lorbrena®, Pfizer) received accelerated approval for use in patients with ALK-positive metastatic non-small cell lung cancer (NSCLC) who have progressed on crizotinib and at least one other ALK inhibitor, or who have progressed on first-line alectinib or ceritinib. This approval was based on results from a phase II trial, which were recently published in Lancet Oncology and reported in prIME Lines. New Lung Cancer Indication for Pembrolizumab. The FDA granted a new indication to pembrolizumab in NSCLC, for use as first-line therapy in combination with carboplatin and either paclitaxel or nab-paclitaxel in patients with metastatic squamous NSCLC. This decision follows results from the phase III KEYNOTE-407 trial, where the combination of pembrolizumab and chemotherapy resulted in a 4.6 month improvement in OS compared to chemotherapy alone (15.9 months vs 11.3 months; HR 0.64, P = .0017). Median PFS was 6.4 months with pembrolizumab plus chemotherapy, compared to 4.8 months with chemotherapy alone (HR 0.56, P<.0001). The benefit of pembrolizumab was consistent in all patient subgroups, including those with low PD-L1 expression. Talazoparib, New PARP Inhibitor for Breast Cancer. The poly (ADP-ribose) polymerase (PARP) inhibitor talazoparib (Talzenna®, Pfizer), received approval for use in HER2-negative patients with advanced breast cancer who carry germline BRCA This approval was based on the phase III EMBRACA trial, where talazoparib resulted in a 46% reduction in the risk of progression or death compared to chemotherapy in patients with BRCA-positive advanced breast cancer. Use of talazoparib is limited to patients identified by BRACAnalysis CDx® (Myriad), a companion diagnostic test approved for use in coordination with talazoparib.